Whether managing an active community, looking to grow your audience or innovating in new channels, Snaps’ tools for social media will help your team exceed targets. Snaps integrations with Facebook Messenger and Twitter allow community managers to develop 1:1 conversations that truly scale. 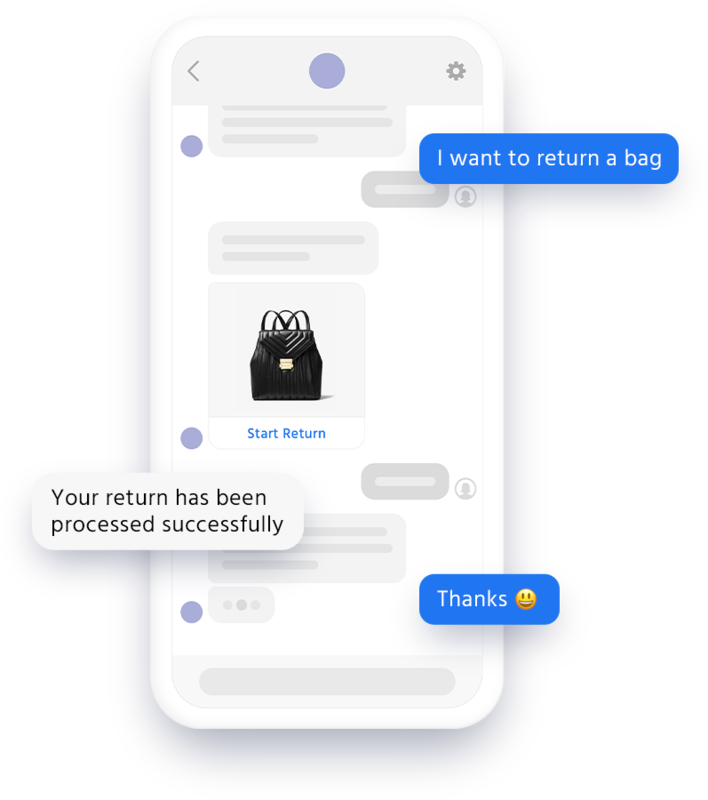 Connect Snaps to your knowledge base and AI to answer customer questions instantly, in any language. Train your AI to get better over time, and handle up to 95% of inquiries, saving the highest value and most important conversations for your team. Snaps allows marketers to create custom experiences based on how consumers entered the experience, and track performance over time of each channel. This enables marketers to use social ads to lower the cost to acquire shopping consumers, delivering great ROI on ad spend. Some cases are best handled in private channels. 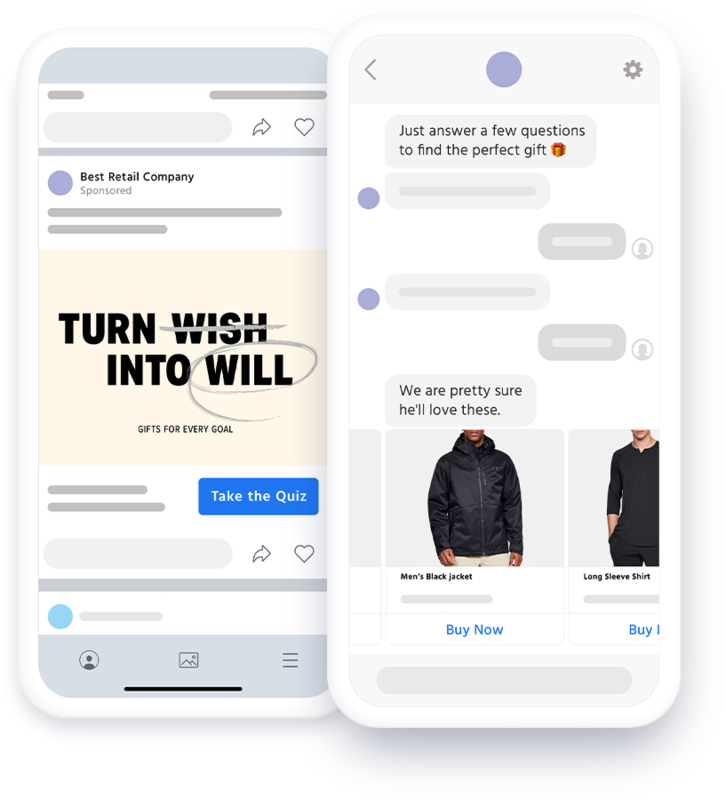 Snaps allows social teams to monitor and pull conversations from a Facebook wall into a Messenger experience using automation, so conversations can be handled with care by your team. 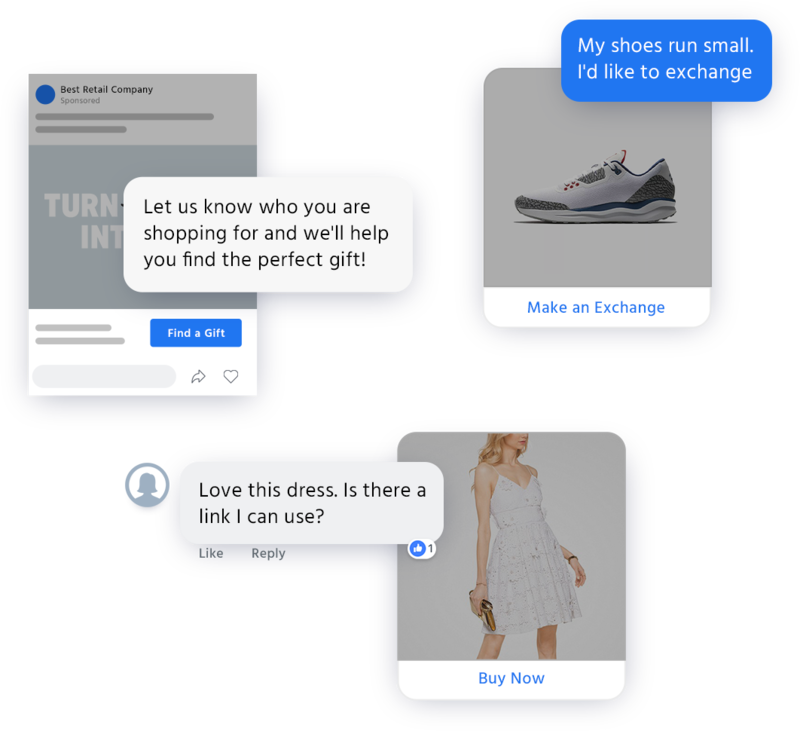 Snaps has developed out-of-the box integrations with Sprinklr, as well as other major social media software tools, allowing for seamless handoff between your AI and your team.